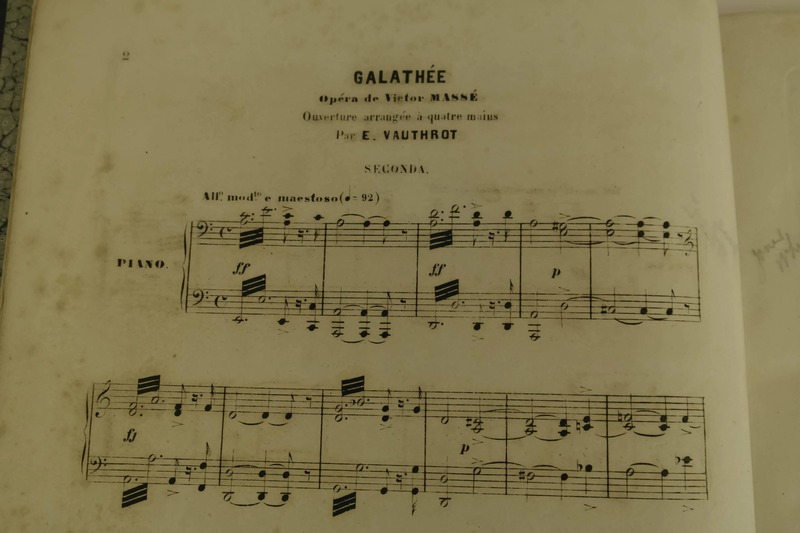 Antique Music Sheet Book of Massé Opera Galathée. 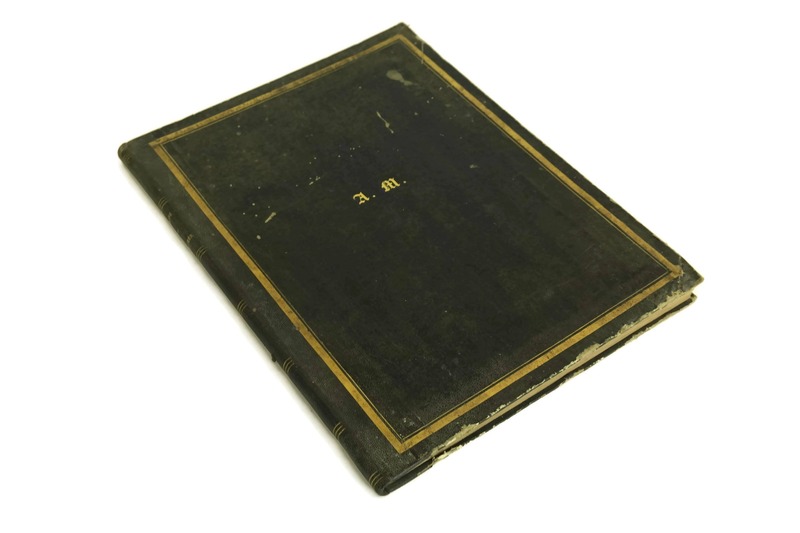 Classical Piano Musical Score Book. Gift for Musician. 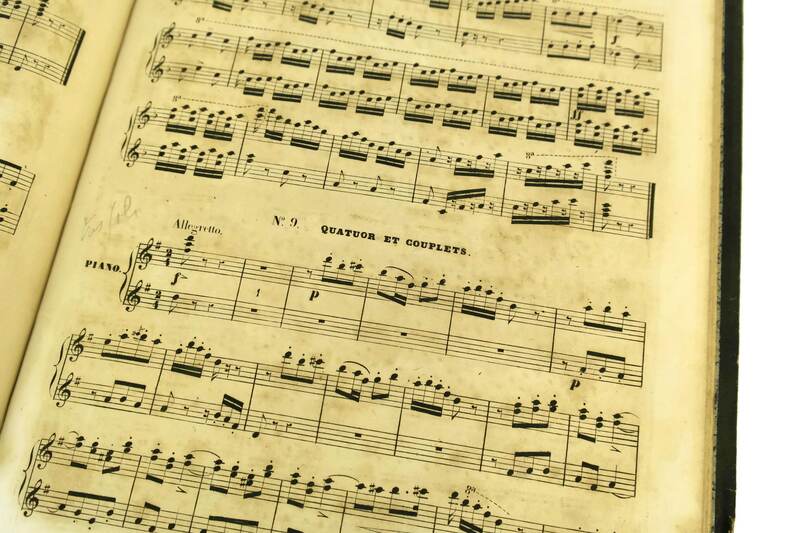 Edited by Leon Grus, Paris. 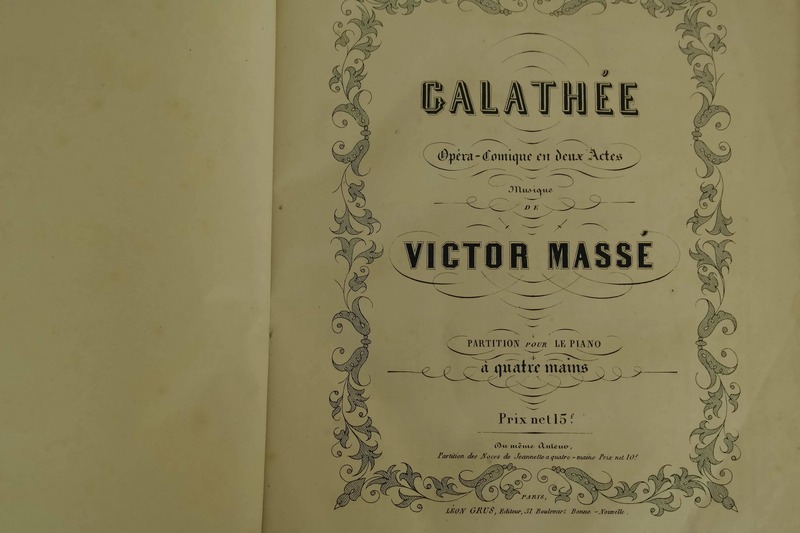 A beautiful antique music sheet book of the Opera Galathée by the French composer Victor Massé. 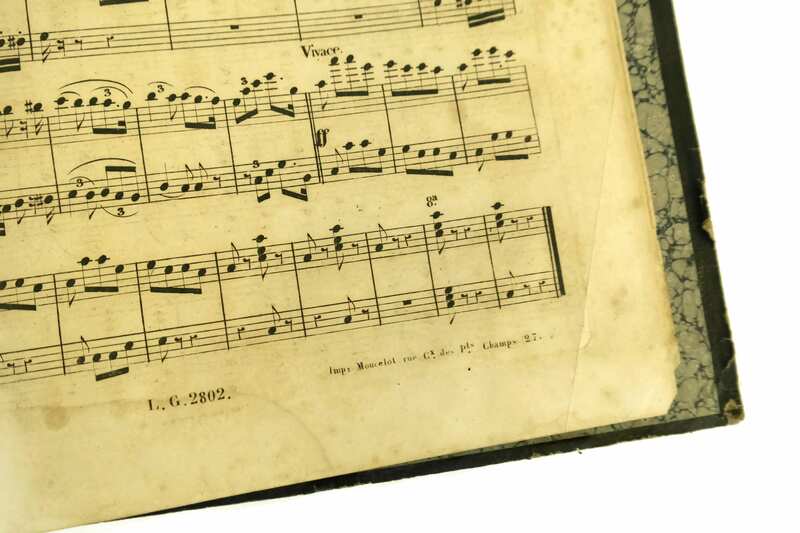 It dates to the 1800s and features the musical core for piano. 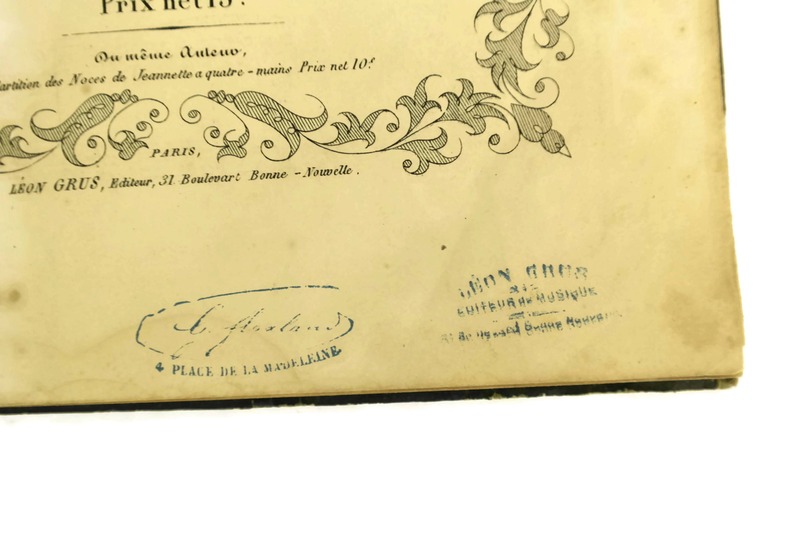 The hardcover book was printed by the editor Leon Grus of Paris. 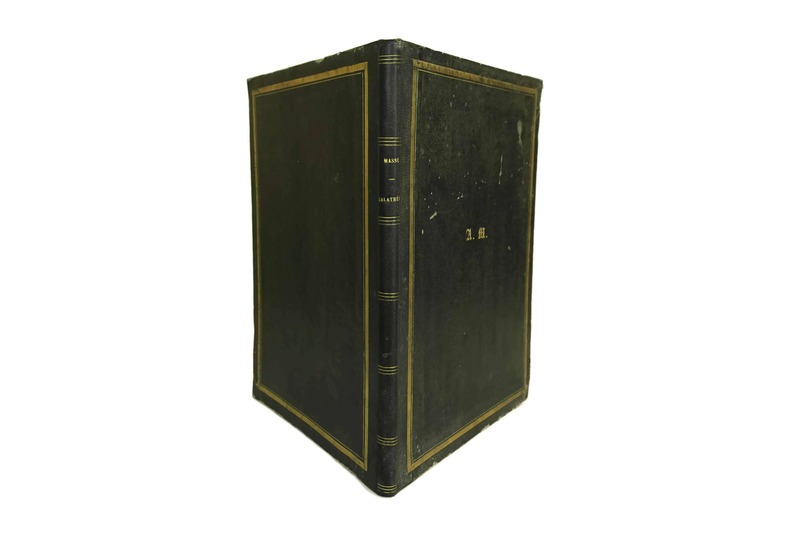 13 1/2" Tall x 10" Wide (34,5 cm x 25 cm). 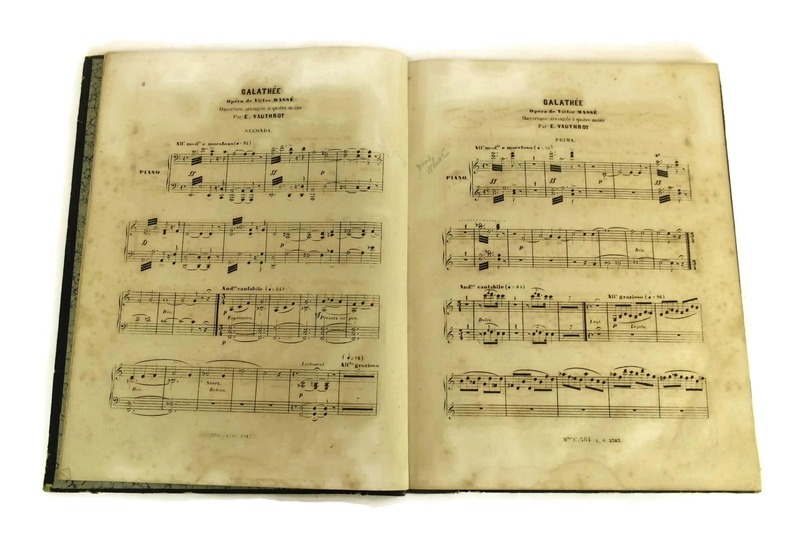 The antique sheet music book is in very good condition with some surface wear and marks to the cover. 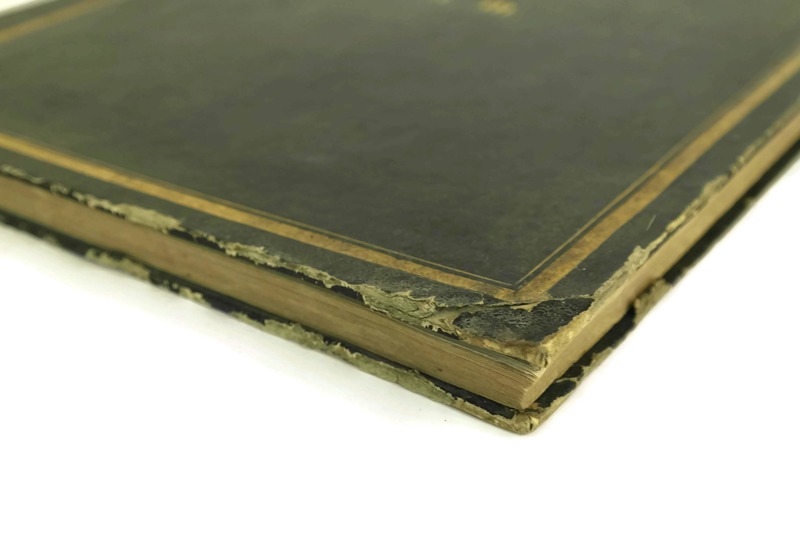 The pages have signs of age including foxing and discolouration spots. 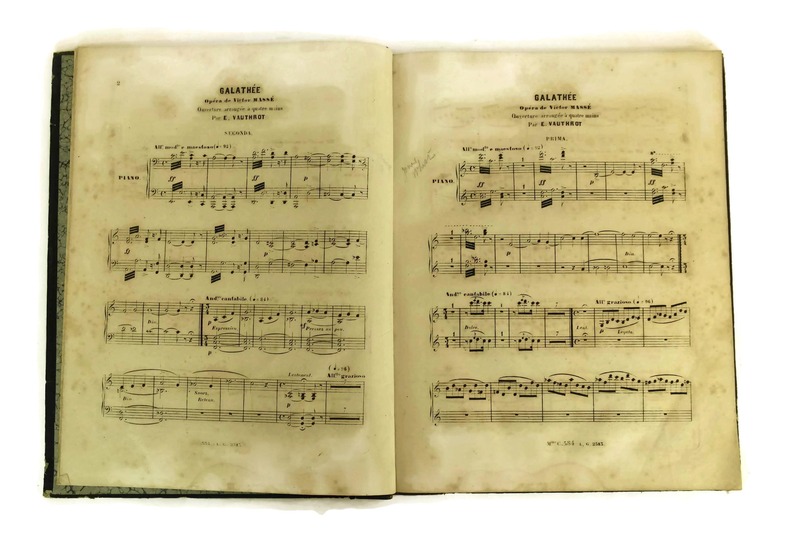 There are no missing or loose pages.